ARE YOU A LITTLE SURPRISED by the headline of this blog post? If so, you’re not alone. Many people are unaware of the link between asthma and tooth decay resulting from dry mouth. When drawing one’s breath doesn’t come easily, most people compensate by breathing through their mouths. In turn, breathing through your mouth causes your mouth to dry out. When there’s insufficient saliva to protect and clean your teeth, you’re left more vulnerable to decay-causing bacteria. In addition, some people compound the problem by sipping on sugary drinks all day trying to quench the dryness! A Swedish study of children and young adults with similar backgrounds and habits evaluated the links between asthma and caries. Within the group with asthma, 19 out of 20 kids developed tooth decay. In the group of asthma-free kids 7 out of 20 developed tooth decay. Asthma may not have a simple fix, but tooth decay does. First and foremost, stick faithfully to the basics. Brush at least twice a day and floss to clean the places in your mouth where brushing misses. Keep your scheduled cleaning and checkup appointments. Avoid foods and drinks that are most harmful to your teeth. Consider occasionally sucking on sugarless mints. Be sure to drink water regularly. 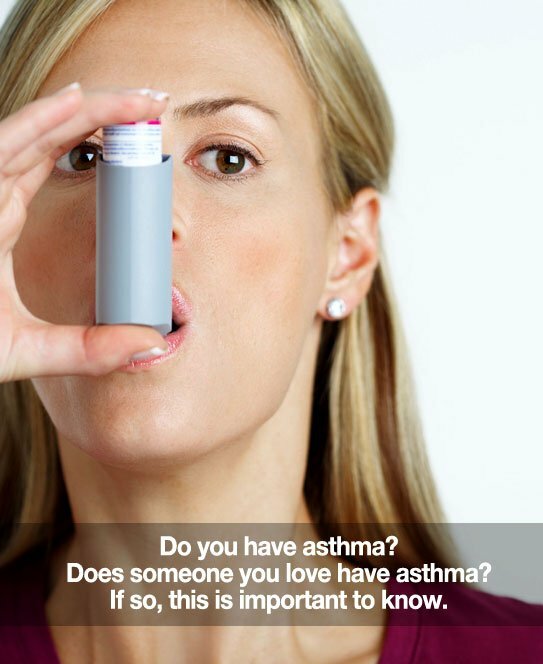 If you have asthma, or if someone in your care has asthma, please let our team know! The more we know about your health the better. It helps us advise and serve you better. If you have any questions about how asthma can impact your oral health, please ask us! We’re honored to be your resource. Thanks for being a fantastic part of our practice! We appreciate having you as our patient.